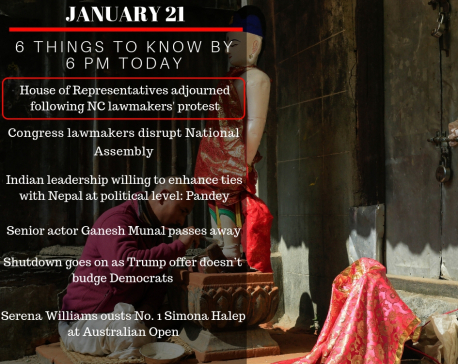 KATHMANDU, Jan 21: Major opposition Nepali Congress lawmakers have disrupted the session of today's National Assembly. 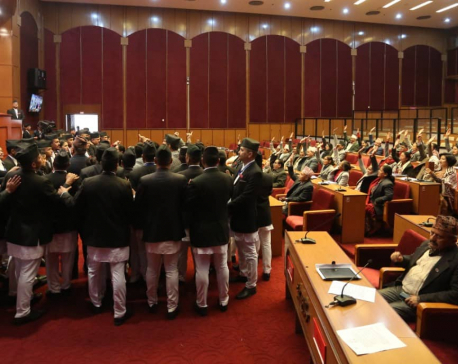 Protesting the government's preparation to scrap the hospitals established in the name of Former Congress Presidents Girija Prasad Koirala and Sushil Koirala, the NC lawmakers obstructed the meeting. Following the obstruction, NA Chairman Ganesh Timalsina has adjourned the meeting till January 28.